Clauss & Company Insurance Agency is an Independent Insurance Agency, so we can choose among the leading Insurance Companies to find quality Home Insurance coverage at a competitive price. We have been in WNY since 1919 helping people like you find the right insurance coverage for your home. If you ever need to file a claim, you can rest assured that we'll be here to provide any support you need. The Homeowners Insurance Experts at Clauss & Company Insurance Agency can help you choose proper limits for your home and contents, offer optional coverages to consider, and identify any opportunities for Premium Discounts. Our objective is to place optimum coverage at a price that you can afford. 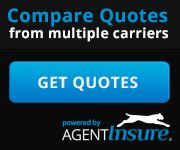 Try using our Multiple Online Home Insurance Quote System. After submitting your information, you will see Homeowners Insurance Premium Quotes from several reputable home insurance companies. You are welcome to Contact Our Office at any time to request a FREE consultation with a Home Insurance Expert - who can help you determine the optimum insurance policy for your needs. Homeowners Insurance is a type of policy that provides coverage for your Private Residence. Your Home Insurance Policy provides coverage for the dwelling and contents against loss by fire, smoke, theft, windstorm, and a list of other perils. Also included is Personal Liability Coverage for bodily injury or property damage, on or off your premises, caused due to your negligence. Certain perils are excluded, such as flood or earthquake, but those can be addressed with separate policies. We also write policies for renters, condo unit owners, seasonal homes and rental properties. The homeowner premium is determined primarily by the dwelling limit. Our standard carriers require us to insure at 100% of the current replacement cost. Other factors which determine the premium are liability limit, deductible, construction type, year built, and location. Most Insurance companies will apply a discount to your premium if you can demonstrate that you have taken steps to reduce the risk that your home or contents can be damaged or stolen. Some examples are: central station burglar and fire alarm systems, smoke detectors, fire extinguishers, and deadbolt locks. Certain exposures can impact eligibility such as trampolines and some breeds of dog. You will also be eligible to receive a Premium Discount if you write your homeowner policy with the same carrier that writes your auto coverage. The Homeowners Insurance Experts at Clauss & Company Insurance Agency are here to help you secure the coverage you need at a price you can afford. We understand that you buy insurance hoping that you'll never need to use it, but know that if you do, the claim process will be fast and fair.